From what can be derived of remains of their existence and some of the ways of life they practiced, it is believed that the meaning of the Celtic cross is directly tied to how they felt about life. In its origins, the Celtic cross means human desire to know the meaning of life; each of the four points of the Celtic cross is indicative of one of the four ways to ascension—self, nature, wisdom and God or Goddess as tied to their religion. The Celts believed there was a meaning of life, and these four principles composed it. The cross also symbolizes the meeting of spiritual energies and a sense of oneness. To the Druids and Celts, the cross offered a path of spirituality as well as cyclical navigations [like the four seasons of weather] and as a time keeping, navigational piece. From all of these meanings of the Celtic cross, it can be deduced that the meanings of spirituality, wholeness, and unification were very much a part of these civilizations. For the meanings discussed above, or for a nod to ethnic heritage, or even for a reflective symbol of personal beliefs and inspiration, might a person choose to wear the Celtic cross in contemporary times. Most Celtic crosses bear some sort of symbolism unique to the culture, most often that being the design of the Celtic knot. Celtic knots resemble unification and continuity. 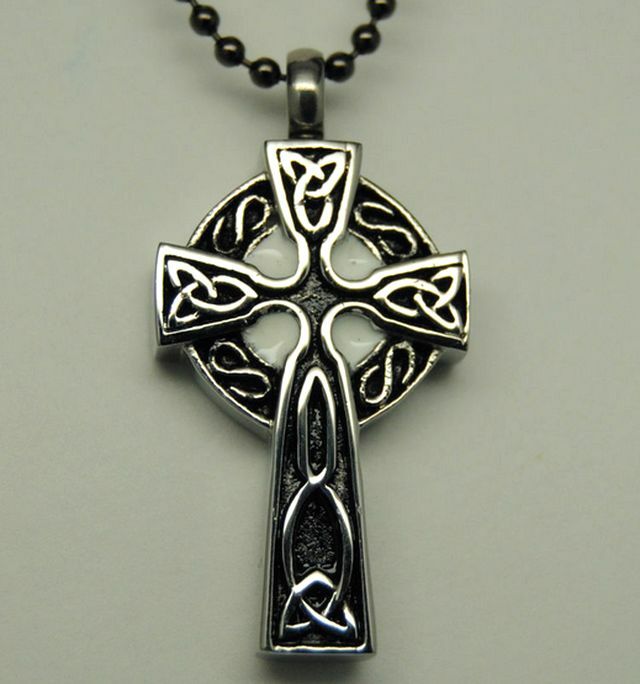 Celtic crosses can be found at some jewelry store, boutiques, and clothing stores. Shopping on the internet provides a larger selection of jewelry than that of most stores and mall jewelry kiosks. In addition to necklaces, earrings, rings and bracelets are other forms of jewelry bearing this symbol. 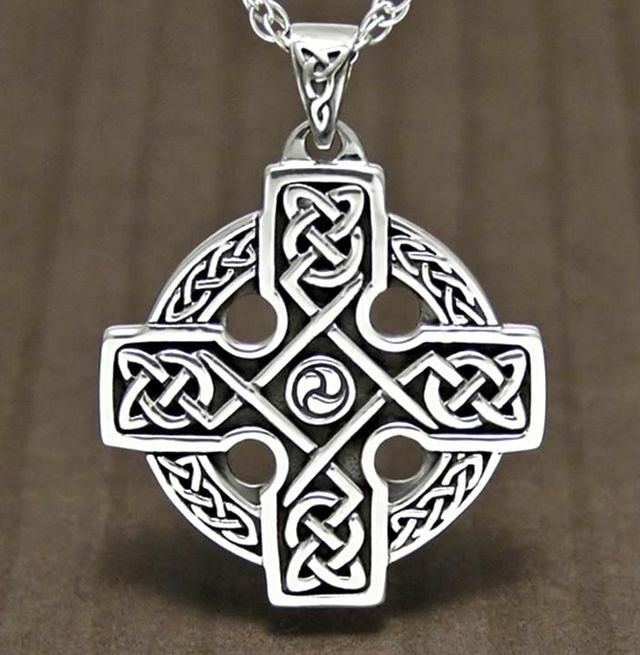 Celtic crosses can be gold, silver, or other metals; sometimes they are a mixture of colored metals to make the design or symbols encased within stand out. Jewels of precious or semi precious materials can be embedded in the body of the cross or at the top. There sometimes can be colored enamel or inlay in the body of a cross to make the design part stand out. Due to the various elements included or excluded from a Celtic cross, and the materials it can be made of, pricing and availability range widely. Some jewelry stores do not carry but can order necklace forms, while others commonly do and will even engrave them. In addition to jewelry, a new trend in wearing Celtic cross tattoos has emerged in recent years.